Bloggers United is just 2 days away! 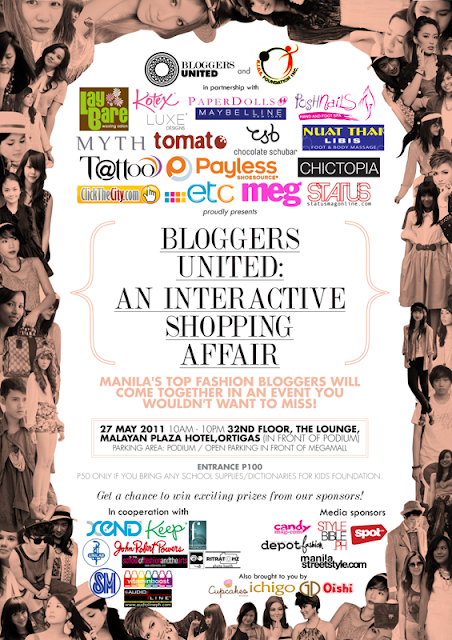 Notable style and beauty bloggers of the World Wide Web will connect outside their computer screens to take part in BLOGGERS UNITED: An Interactive Shopping Affair on May 27, 2011 at the 3nd - 33rd floor of The Lounge in Malayan Plaza Hotel. This event will be the very first bloggers bazaar featuring the most influential bloggers of Manila’s online fashion community. 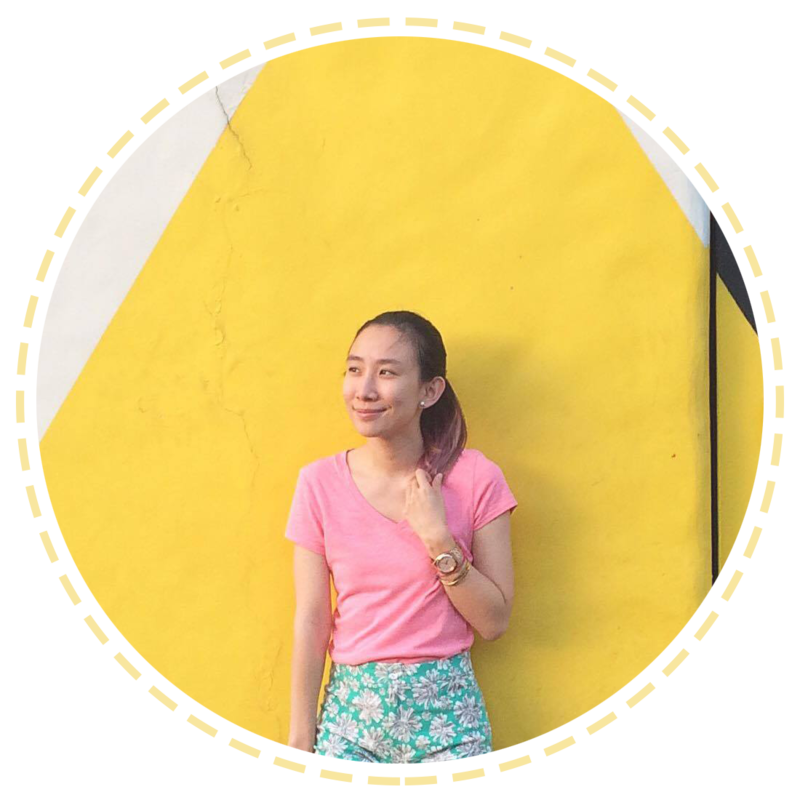 Our favorite online fashionistas will open up their closets to sell their most coveted pre-loved clothes, allowing buyers to get the very same outfit worn by popular bloggers such as Rosanna Aranaz, Lloyda Lim, Tricia Gosingtian, Laureen Uy and Kryz Uy. Various style icons will also take part in this event including Kookie Buhain, Lissa Kahayon, Patricia Prieto, David Guison, Camille Co, Karl Leuterio, and Joanna Ladrido. BLOGGERS UNITED wants this event to be a venue where the bloggers and readers can get together and interact with one another. Followers can approach their favorite bloggers to get to know them even more. They can share tips about how to style a particular item of clothing, gossip about the latest stories in the local and international fashion scene and be updated about the latest fashion trends. BLOGGERS UNITED is the brainchild of Melai Entuna (http://styleandsoul.blogspot.com), Aisa Ipac (http://ipaxme.blogspot.com) and Ana Gonzales (http://anagon.tk), a team of blogger friends aiming to make a breakthrough by creating events and productions geared towards the continuous advancement of Manila’s (and eventually, the country’s) fashion blogging community. So to all bloggers, readers, and shoppers alike, be sure to bookmark the 27th of May and prepare for a hot summer event you wouldn’t want to miss! BLOGGERS UNITED is a HYPE that will definitely be worth blogging about! Hmm i'm still thinking if i'm going on Friday before I go to work but let's see! Hopefully my schedule permits if ever :) Seems like it's such a huge event! Hi Ava! How was the event? I feel bad I missed it but I ended work pretty late. Hope you were able to raise a lot of money for your charity.